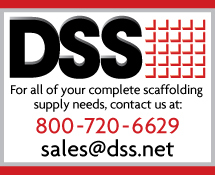 At Direct Scaffold Supply, our line of Scaffold Ladders includes everything you need for the right access within your scaffold system. We offer heavy duty steel ladders & brackets, cage rings and more. All of our products meet or exceed the appropriate ASTM/ANSI specifications, and are designed to be compatible with major global manufacturers. DSS Heavy Duty Steel Ladders & Brackets are manufactured under the guidance of our Exhaustive QA/QC program and ISO accreditation. Every single Heavy Duty Steel Ladder & Bracket manufactured is proof tested in the factory to ensure the highest possible standard of quality is provided to our clients. Our Heavy Duty Steel Ladders & Brackets are fully compatible with other leading scaffold systems around the world. DSS Ladders are manufactured under the guidance of our Exhaustive QA/QC program and ISO accreditation. Every single Ladder manufactured is proof tested in the factory to ensure the highest possible standard of quality is provided to our clients. 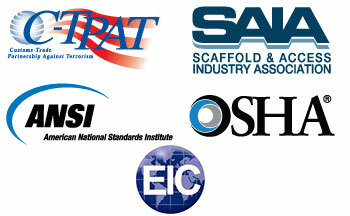 Our Ladders are fully compatible with other leading scaffold systems around the world.